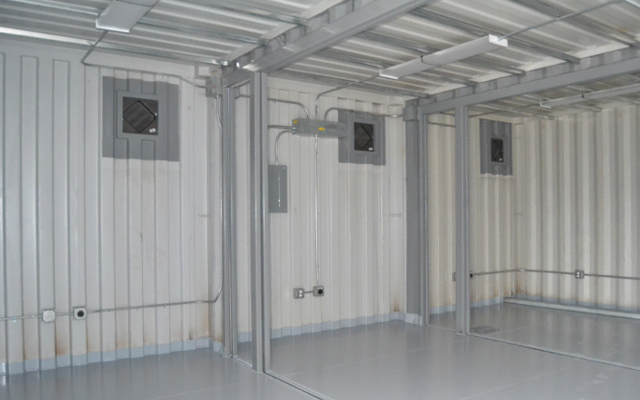 A customer needed an enclosure where they would heat the batteries to extraordinary temperatures in order to determine their performance and survival in extreme conditions. 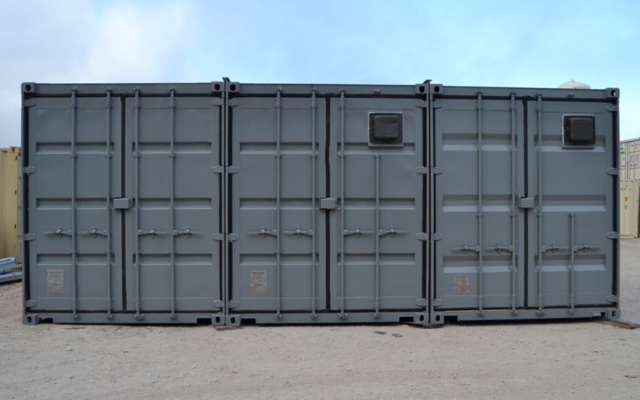 After carefully listening to their requirements, Falcon determined that an enclosure made from three clear-spanned shipping containers would be a fast and cost-effective solution for their business. 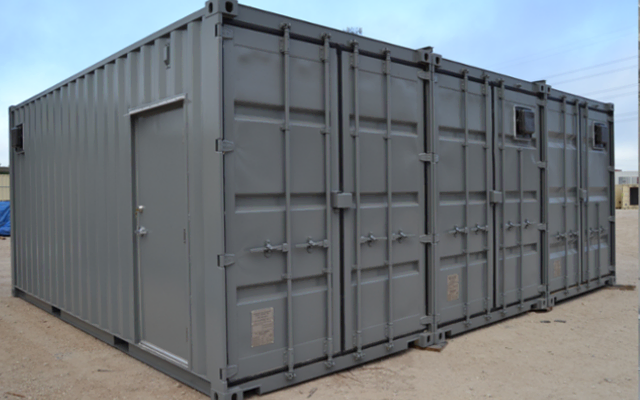 Falcon designed and manufactured the enclosure inhouse. Special features included steel and epoxy coated floors that could endure the extreme conditions of the testing. When complete, we sent the enclosure to the customer’s facility in sections and included detailed assembly materials including an instructional white paper and video. After a fast and easy assembly, the project quickly became a key asset in their product development.